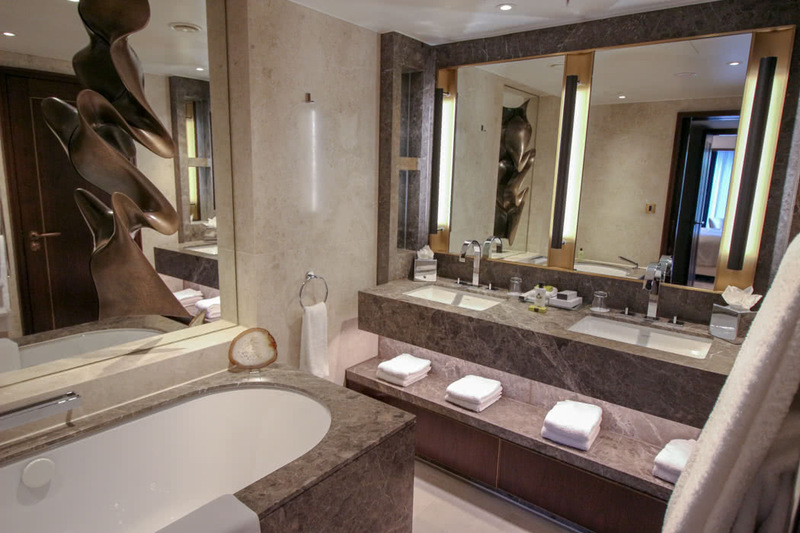 The InterContinental London Park Lane is an elegant luxury hotel right in the heart of London. It offers rooms of varying sizes with incredible views across Regents and Green Park as well as the Hyde Park Corner roundabout. It also has a great gym, Elemis Spa, two excellent restaurants and an unbeatable location. Interestingly, the hotel is situated on the site of Queen Elizabeth II’s former residence (145 Piccadilly) and was opened in 1975. My favourite thing about this hotel is that it has the best Club Lounge in London, check it out in our video tour. This assessment is based on the luxury of the lounge and also takes into account the hotel price. The view from this Club Lounge is out of this world, the staff are unbeatable and full of personality, the food and drinks array is excellent and it really is a great place to spend the entire day. Read about all the benefits of this lounge in my more detailed review of the InterContinental Club Lounge. The InterContinental London Park Lane is a member of our Lux Hotel Collection which means that when you book a room via our luxury travel concierge you get brilliant extra benefits at no extra cost, (plus you still get your loyalty points, just give our agent your IHG® Rewards Club number when you book). GUARANTEED Free Club InterContinental Lounge access, including: breakfast, afternoon tea and evening drinks (including alcoholic drinks) and canapés. GUARANTEED Free room upgrade at time of booking, subject to availability. Full English Breakfast daily in Club InterContinental for up to two in-room guests. The location of the InterContinental Park Lane itself is fantastic, just a short walk from Knightsbridge and its designer shops. In the other direction you can stroll to Regent street for the Apple Store, Hamley’s toy store, Selfridges, as well as the lively bars and Michelin Star restaurants in Soho and W1. 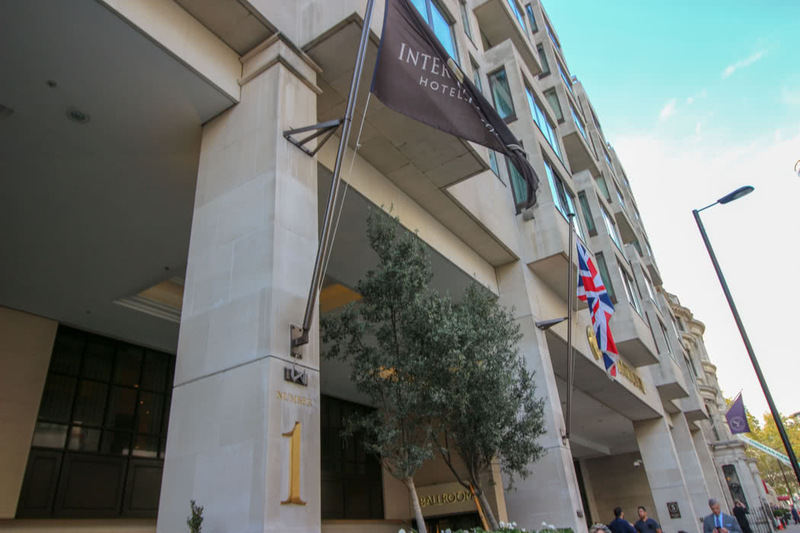 The InterContinental is directly across the Hyde Park corner roundabout from the new Peninsula Hotel London which is a couple of doors down from the boutique hotel The Wellesley. A minute further into Knightsbridge and you reach the Mandarin Oriental which looks out upon Regents Park and which is also situated opposite the SPG hotel the Sheraton Park Tower. The entrance of the InterContinental is directly opposite the Four Seasons Park Lane in London and about a 30-second walk from the tower that is the Hilton Park Lane and a few blocks down from the Hilton is the Sheraton Grand. 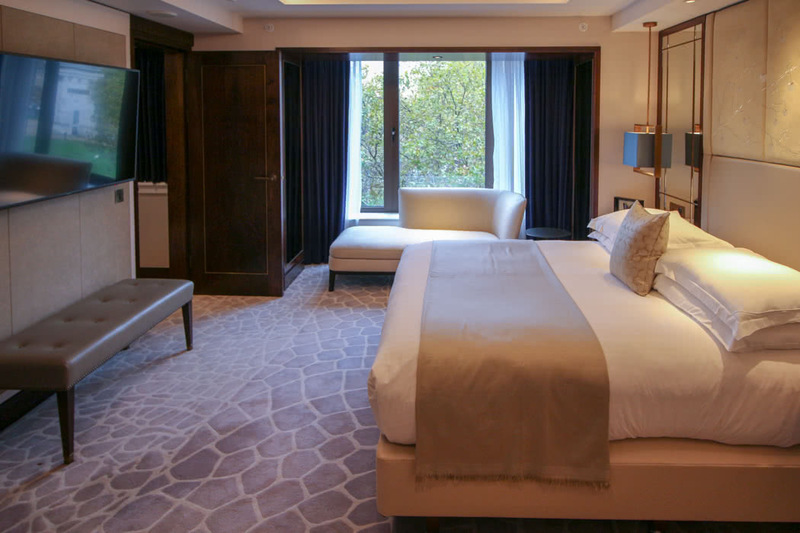 The JW Marriott Grosvenor hotel overlooking Hyde Park is also a short walk up Park Lane and also features their excellent JW Grosvenor House Executive Lounge. As with most luxury hotels in London, it is the views that differentiate between the 387 rooms, and the Intercontinental wins over almost every other hotel in London in this respect. The direction your room is facing will dictate your view. To the South is my favourite view and also the view from the Club Lounge. You look down on the Hyde Park and Green Park with Buckingham Palace is hidden in the trees beyond. You are literally looking down on the Queen (assuming that she is in residence!). Beyond you can see Big Ben and the London Eye in the distance along with the spires of Battersea Power station. This unique bird’s eye view of the skyline with the poetic dance of London doubledecker buses and the old-fashioned black taxi cabs below, all circling around the Hyde Park corner roundabout is unbeatable. 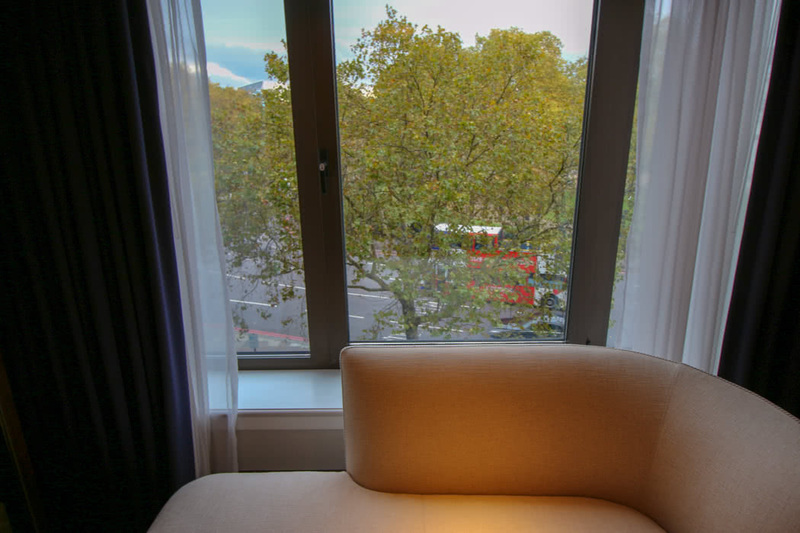 If your room faces west or north you will be looking out upon Regents Park and Park Lane. To the east, you look down upon the Four Seasons hotel opposite. There are also some internal rooms which miss out on the view. If possible, my tip is to request a room facing South. These are the best rooms. Avoid the rooms with internal courtyard views. The rooms themselves are the same but the view is missing. Inside, the rooms are slowly being renovated. The newly renovated rooms are particularly special and you can see the look in the pictures and video above. The decor is a mix of creams and browns which seem to bring the feel of the London Parks in the autumn into the room. 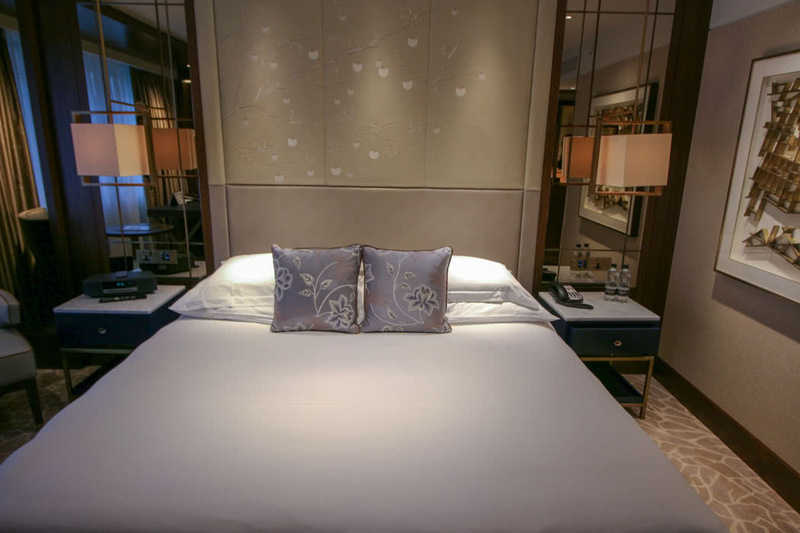 There is also a hint of oriental in the room design with pretty blossom designs on the headboards, loads of mirrors and light, warm marble bathrooms. I, therefore, recommend requesting one of these newly refurbished rooms as they are stunning and come in at the same price as the non-refurbished and more traditionally designed rooms. 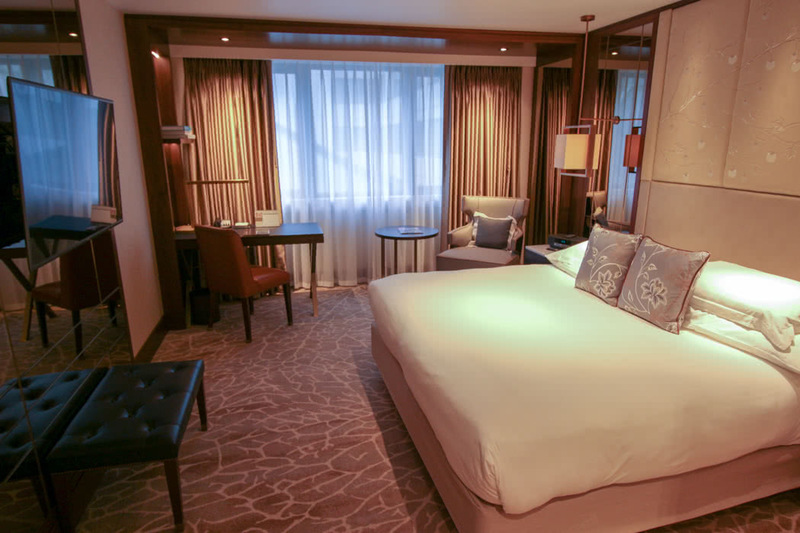 If you want to splurge, we recommend The Capital Suite. 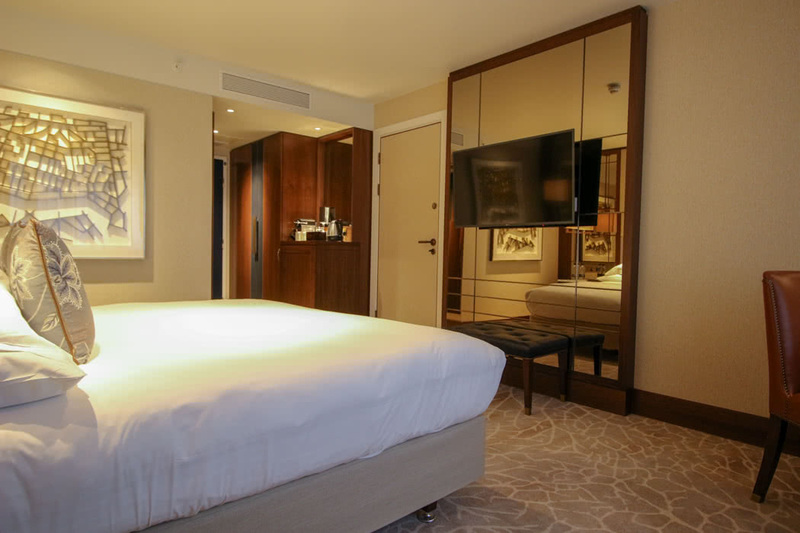 You will see some of the photos of this suite in the scroller above and the video. The first business suite of its kind, The Capital Suite offers intelligent design, allowing various areas of the suite to be separated based on the guests’ needs and desires, in addition to a separate entrance into the hotel and a private lift. 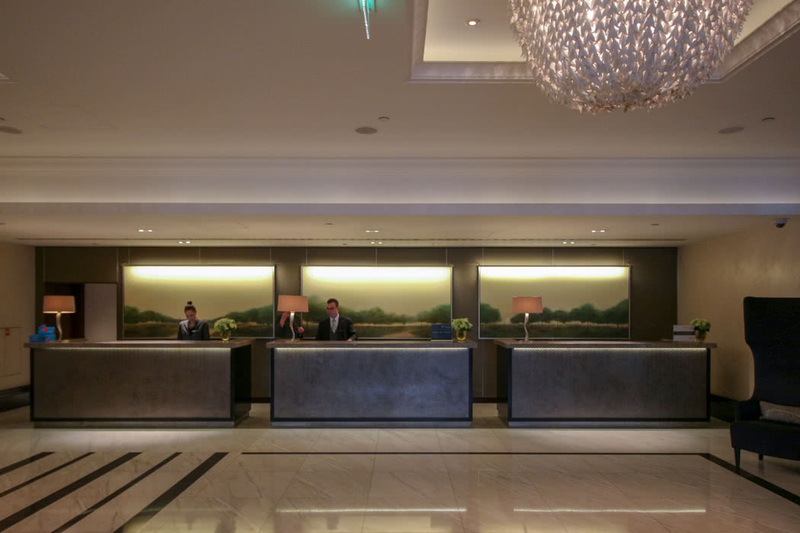 Situated on the first floor of the InterContinental London Park Lane, is the ultimate abode for the international business and leisure traveller alike, with a full-size boardroom, luxurious private office and multiple en-suite bedrooms. 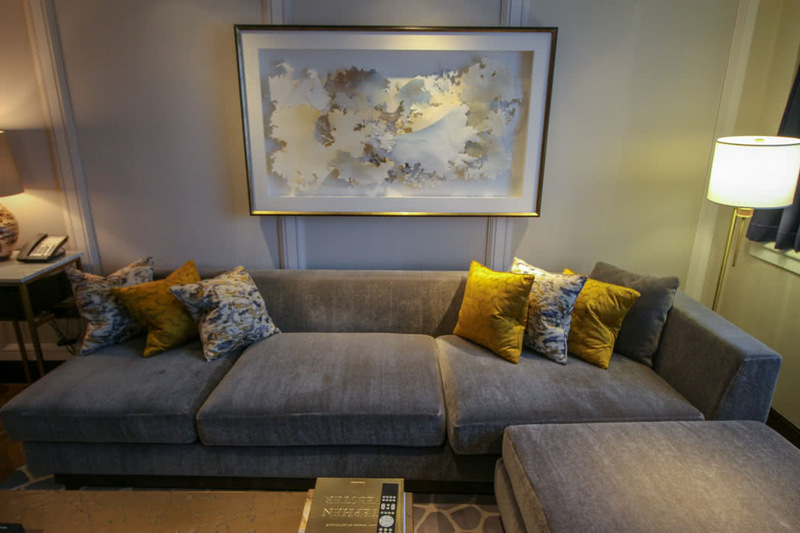 The 335sqm suite created by RPW Design, draws inspiration from Hyde Park, the nature and history surrounding the hotel and features two private, spacious en-suite bedrooms complemented by interconnecting living spaces. In the master bedroom design touches include decorative bronze panels, which frame the bed by resembling windows with climbing foliage and songbirds. 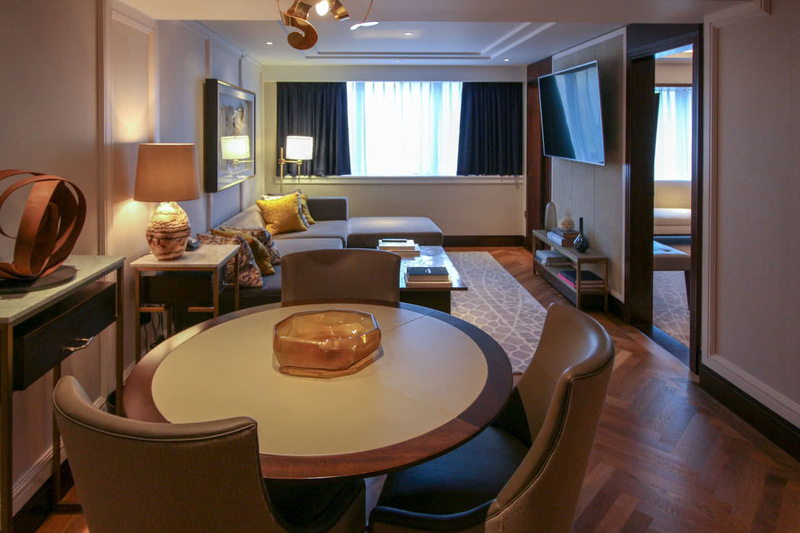 Guests initially staying to conduct business meetings can extend their stay, and invite family or friends to join them in the large second bedroom, which can be separated from the meeting room spaces. The suite offers unparalleled views out over the historical and magnificent Wellington Arch, which once stood as a grand entrance to London. 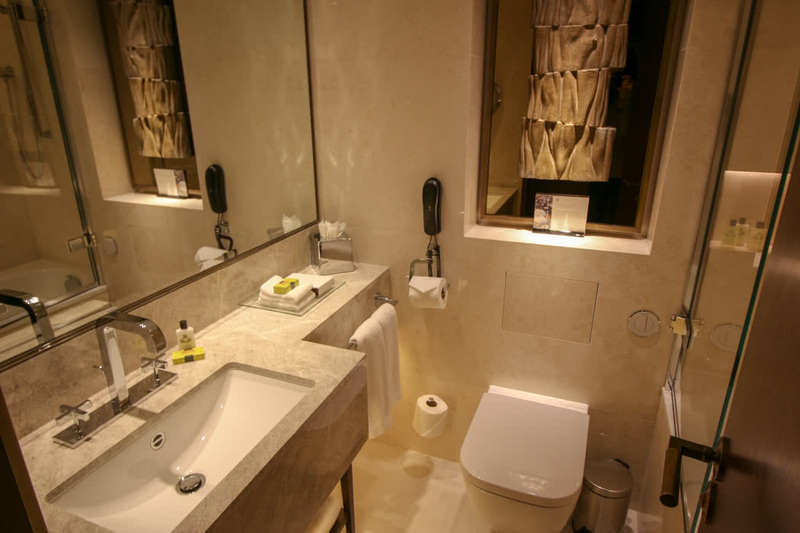 Suite guests also enjoy a complimentary personal Butler Service and luxurious toiletries. 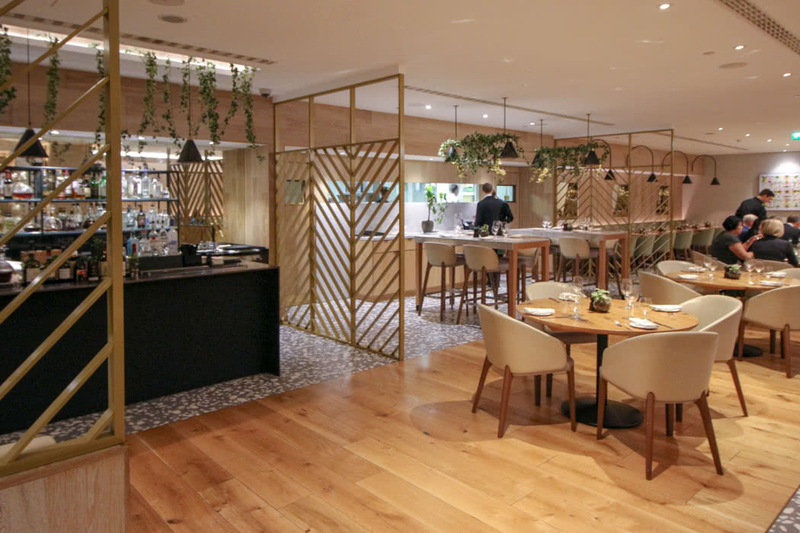 Hotel guests can enjoy the award-winning restaurant Theo Randall at the InterContinental and Ella Canta, the new upscale Mexican restaurant from acclaimed Mexican chef Martha Ortiz. Theo Randalls which I have reviewed previously, is located at the main entrance of the hotel. He serves the best pasta in the world (IMHO). 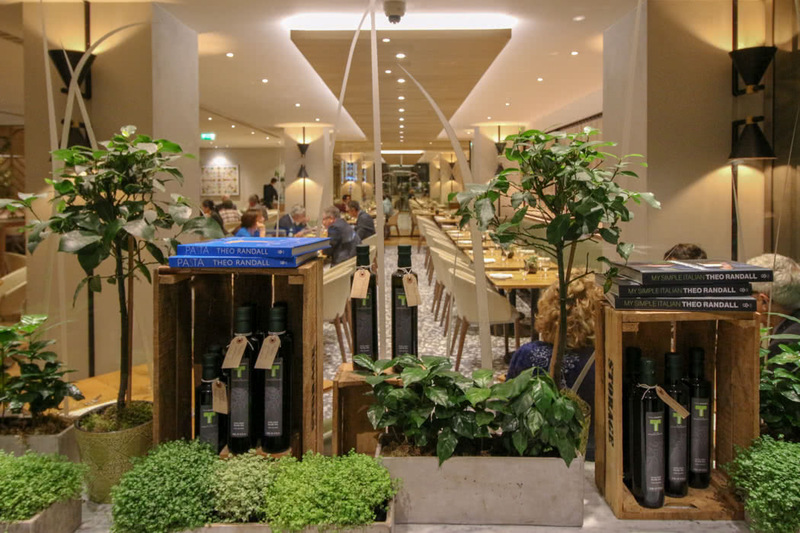 Theo consistently delivers some of the best Italian food you are ever likely to eat. The Linguine con aragosta and the Piccione al forno is particularly delicious and the superb deserts are just yummy. The Amalfi lemon tart is also out of this world! We did not try the newly launched and funky Mexican restaurant at the InterContinental but it already has a phenomenal reputation. 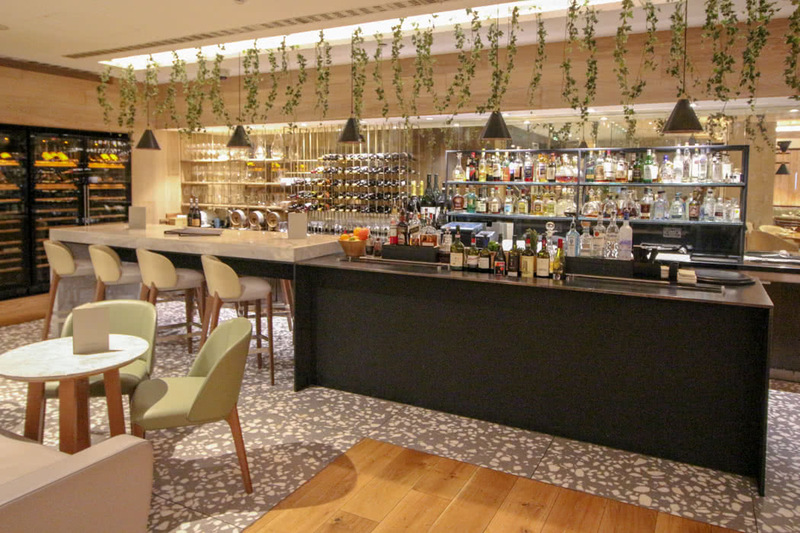 There is also one long bar on the ground floor looking south over the Hyde Park roundabout with a buzzing atmosphere and a great afternoon tea. Next to the large and stylish gym is a dimly lit and atmospheric Elemis Spa offering BIOTEC anti Ageing facials which I have reviewed separately. I always book one of these in during my stay as this treatment really works. My skin always does look 5 years younger; plumped, my dry patches are gone, my whole face looks lifted and my wrinkles are less defined. Great Spa with real results! So there you go. The InterContinental London offers my favourite views, the best pasta, a great Spa, an increasing number of newly refurbished rooms and my favourite Executive Lounge in London, which is free if you book your stay via our own luxury travel concierge. This is the hotel you have been looking for in London! Worth noting, if you have status with IHG and Intercontinental Ambassador Club you can collect points at the same time as getting our concierge benefits.